Years after the loss of her older brother, Jack, Alexandra Boyd travels to Bulgaria to teach English in homage to her beloved sibling. Soon after arriving in the elegant capital, Sophia, Alexandra stops to help an elderly woman and her companions, only to find one of the party's bags has been mixed up with her own. This is not ordinary luggage: she discovers an ornately carved wooden box engraved with a name: Stoyan Lazarov and realises this is a treasured funeral urn. Alexandra sets out to reunite the urn with the family, and finds an unusual companion in her taxi driver, Bobby, whose Bulgarian name she is unable to pronounce. This is not so simple a task as she first hopes: Alexandra and Bobby unwittingly travel the country in search of the Lazarov family, learning long the way of Stovan's life as a musician and as a member of a communist labour camp; the brutality of political dissent, and how the past can shape the future in so many subtle ways. 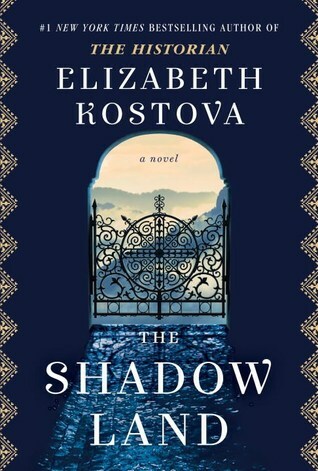 It would be a mistake to compare The Shadow Land with Kostova's previous bestseller, The Historian. They are thematically similar only in the area of the world in which they are set. The Shadow Lands is not a supernatural story, though there is certainly a thrilling element to drive the plot. Instead I would prefer to describe this as a more mature novel: an exploration of a country and it's history; a story of family, relationships, loss and redemption. The descriptions of Bulgaria, it's history, people and landscapes are truly wonderful. Kostova lets us see the wonder through Alexandra's eyes, her fascination and intrigue as she embarks on an impromptu tour of the country with the dread of an unknown threat hot on her heels. It is a comforting novel, melancholic in places, with a wonderful sense of character development. Reading this, I felt as though I could travel to the places described from the comfort of my sofa! I sincerely hope that The Shadow Lands receives the credit it deserves, so that readers of this wonderful novel can fully enjoy the experience without in any way expecting similarity with The Historian. It is a slow-burning novel, providing the sensation of a familiar friend, and I was saddened to have finished it simply because I enjoyed it so much! The Shadow Lands will be published on 11th April, 2017 by Ballantine Books, and is available to pre-order now from Waterstones.